The genius behind the Q7 NextGEN's featherweight frame is 7000 series aerospace aluminum. ShapeLoc Technology - the process of heat treating 7000 Series aluminum - increases its strength, allows for thinner tube walls, and decreases overall weight. By combining ShapeLoc Technology with ovalized tubing, the Q7 delivers an incredibly strong, rigid ride that weighs as little as 6.5 kg with wheels, and maximizes your speed and efficiency with every push. Whether you are a new user or have been a loyal Quickie fan for years, the Q7 NextGEN has an option for you. 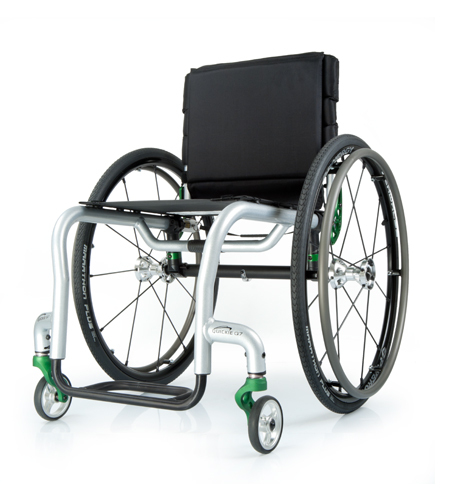 The Adjustable frame accommodates changing environments and conditions and allows for quick back angle adjustments. The Active Rigid is ideal for those who know exactly what they need. A fully rigid backrest reduces the overall weight by 0.5 kgs. and transfers energy directly from your arms.